Today's Family Now: Win Tickets to an Afternoon Tea! Win Tickets to an Afternoon Tea! 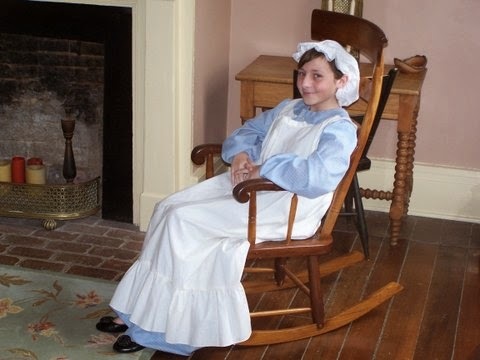 Enjoy a formal tea in the parlor of the Presley Tyler farm house built in 1844 at Blackacre Conservancy on April 6, at 1pm and 3pm. ...you'll have the chance to meet Blackacre's very own pioneer girl, Phebe, as she describes her life at Blackacre on the early American frontier, as well as learn pioneer games and crafts. Plus, all attendees will be registered to win an American Girl doll and are encouraged to bring their own dolls with them to tea. Two lucky readers will each win a pair of tickets to this event. Enter below for your chance to win. See Official Rules. Giveaway ends at midnight on 3/25/14. Updated 3/27/2014: Our two luck winners are Christine Roberts and Sheila Spencer! Congratulations!